Fun, easy, no-prep practice pages! 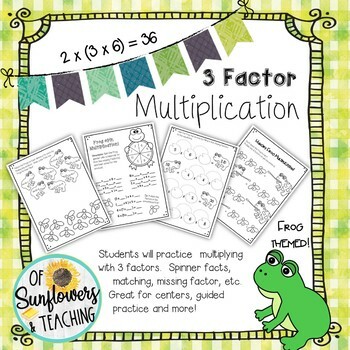 This set of 4 activity pages provide fun and engaging ways for students to practice multiplying with 3 factors. 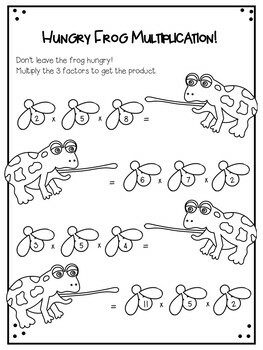 Students will spin a paper clip spinner to fill in missing factors, match the frog factors to the fly product, find the missing factor and more. 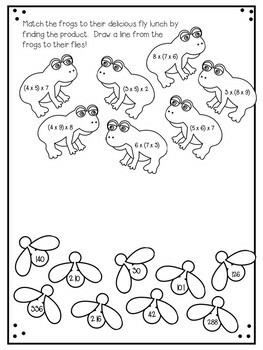 In my class, we use these activities as centers and students enjoyed the cute frog theme on neon green paper. 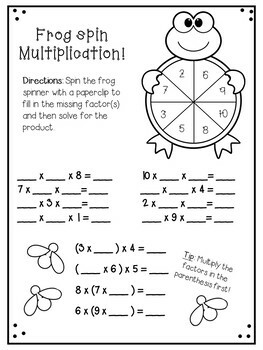 Includes an answer key for the non-spinner pages.